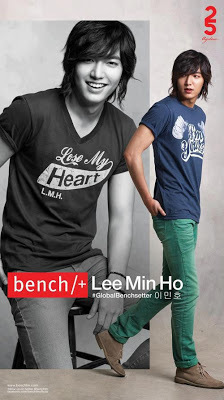 I’m so excited w hen I read that Lee Min Ho is coming to Manila for a fan meet sponsored by Bench. I’m sure all BOF fans are raving to see Min Ho in person. I myself is a confessed fan of Lee Min Ho, as soon I heard his coming on November 16, 2012, I’ve been looking for Patron tickets to see Lee Min Ho up close. Although its still 1 month before his FUN Meet, I want to get hold of the Golden ticket for his Fun Meet in Araneta Coliseum. Get a FREE #GlobalBenchsetter Lee Min Ho’s Fun Meet invite with a minimum single-receipt purchase requirement from participating stores, that includes any Fix Styling Products.